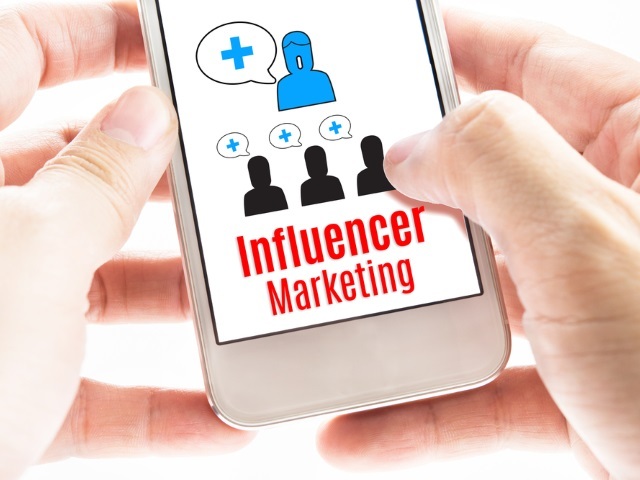 Marketers can maximize their digital spend by strategically investing in influencer marketing to maximize their effectiveness and using paid social to amplify influencer content and the overall campaign. Marketers are all too aware of the increase in ad blockers’ popularity over the last two years, and many have turned to social media as an alternative channel for getting in front of their target customers. As marketers begin preparing for the last and often most important quarter of their companies’ fiscal years, we set out to answer the question: Which social media marketing tactics are most effective? Generally, marketers’ social media spend falls into one of two areas: ads and influencers. They either pay to have their brands’ content appear prominently on the feeds of their target audiences, invest in influencer campaigns that incentivize people with social capital to post about a brand’s product or service, or both. As the playing field among social networks continues to evolve rapidly, with algorithm updates that favor a more “personalized” News Feed, determining the right balance of social ad spend and investments in influencer campaigns has become increasingly difficult. With this in mind, we compared the performance of social influencers and social ads against five common marketing metrics: cost per impression, cost per engagement, click through rate, cost per lead and cost per purchase. For social ads, we focused on sponsored Facebook posts and promoted tweets. When collecting data for influencers, we looked at mega-influencers (celebrities, social media stars with 1 million or more followers), macro-influencers (bloggers, experts and journalists) and micro-influencers (existing customers or employees with 500 to 5,000 followers). Micro-influencers have the highest cost per impression by nature of the smaller size of their following. Well-known influencers can have millions of followers, while promoted ads on Twitter or Facebook can drive similar view counts by nature of the high volume activity on either channel. Engagements are a step better than impressions in indicating the value of social marketing. However, not all engagements are created equal, which is why a blanket CPE can lead to inconsistent data. For example, a “like” is more of a reaction than an engagement, whereas a share or a post is a more relatable indicator of future purchase. As you can see, promoted tweets, mega-influencers like celebrities and Facebook News Feed Ads have a low CPE. The average CTR serves as a turning point for sponsored Facebook posts and promoted tweets, which end up failing to carry their soft metric success around impressions into measurable action. In contrast, the higher cost per engagement and impression in a micro-influencer strategy begins to display its value here. The high CTRs that micro-influencers drive serve as a reflection of the resonance that micro-influencers possess, which relates to the quality of the connection they have with their followers. The cost benefits of social influencers are apparent when measuring average CPL. As customers from social ads lose interest after the initial view or engagement, influencers’ followers continue down your brand’s funnel, because they both trust and value the influencer’s recommendation. Micro-influencers have the lowest CPP of any of digital ad strategy, primarily because they’re relatively inexpensive to acquire. Most micro-influencers are incentivized by brand VIP treatment, such as entry into rewards communities, loyalty programs or brand swag. While celebrities and bloggers demand large sums of money to partner with your brand, their CPP is still lower that promoted tweets or sponsored Facebook posts.